Give yourself the confidence to crush it. Whether you’re making the crux move on a technical climb or bombing down the mountain on steep, rocky terrain, you need full protection to perform at your peak. The new Rail SX was developed to meet the demands of the Giant Factory Off-Road Team’s pro enduro riders. 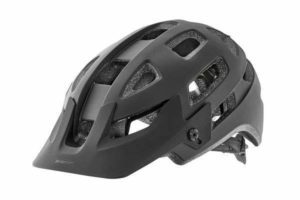 It features an integrated MIPS Brain Protection System, and a lightweight, highly ventilated design to keep you comfortable and in control when you’re pushing your limits. All Giant and Liv Helmets are tested according to international standards for bicycle helmets, both in-factory and at certified third party facilities. 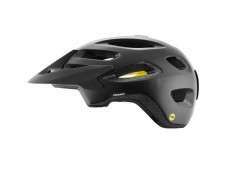 This Giant Rail SX MIPS Matte Black Helmet conforms to the AS/NZS 2063:2008 standard for bicycle helmets. This helmet is not intended for motor sport use. Giant bicycles started in 1972 with one goal: Create a better cycling experience for people around the world. The founders of Giant were craftsmen and engineers. They understood their strengths. So to make cycling more enjoyable and accessible to people around the world, they did what they knew best. They set out to improve the cycling experience by following three guiding principles: craftsmanship, innovation and inspiration.